If there is one individual who could be considered the driving force (domestic) behind, and operational manager, of the assassination of President John F. Kennedy, Allen Dulles is the man. The quintessential point man. Dulles’s fingerprints are literally all over the Dallas crime scene, as they are all over the C.I.A. cover-up that he once directed. First and foremost, because only the Central Intelligence Agency could have pulled off such a high-profile hit, the former C.I.A. Director is clearly suspect #1. Secondly, because only the C.I.A. could have successfully covered up the public execution for 54 years, Dulles is a key figure during the years following Kennedy’s assassination. Just who was Allen Dulles? “Allen Welsh Dulles was an American diplomat and lawyer who became the first civilian but third Director of Central Intelligence and its longest-serving director to date.” This is exactly where the problem started. Having served as C.I.A. Director for 8 years under President Dwight Eisenhower, Dulles was given, and grabbed, enormous power and influence. The foreign black operations implemented during his tenure read like a [WHOLE SERIES] of Tom Clancy novels. There seemed to be nothing that Dulles would not attempt in the interest of advancing American imperialism. 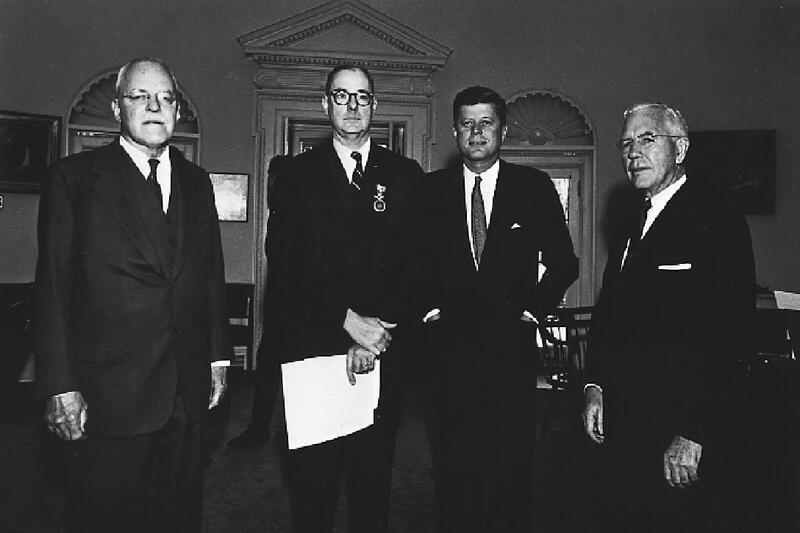 Once the young John Kennedy entered the Oval Office, Dulles felt empowered to take over the U.S. government via his many agents within Deep State. Toward that end, Dulles practically set up a parallel government at Langley, Virginia headquarters in 1961. Dulles especially took the lead for the Military-Industrial Complex in running American foreign policy, and did so with disastrous effect. damaged the reputation of his Administration. As unbelievable as it may sound, the headline of this exposé actually describes what went down on November 22, 1963 not far from Washington, D.C.. It’s entirely true that a former C.I.A. 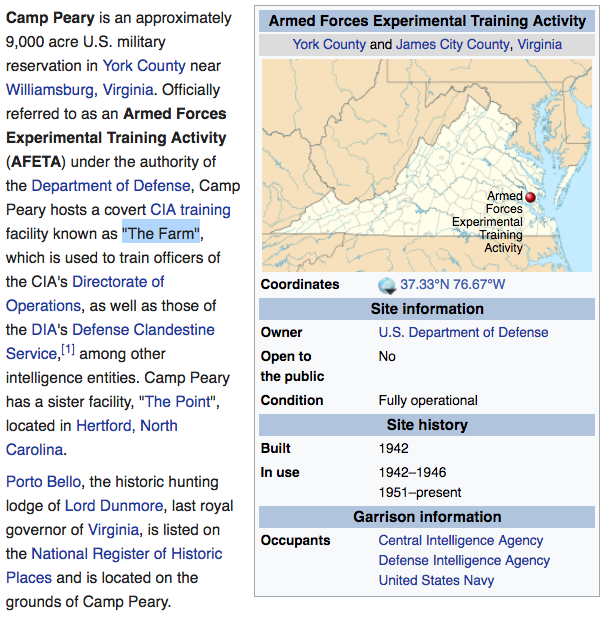 Director used the CIA’s super-secret Camp Peary near Williamsburg, Virginia as a remote command post to oversee the operational phase of the assassination of President Kennedy. The following quote from a very revealing interview conducted by Democracy Now with American journalist David Talbot tells a critical part of the back story. There are specific reasons why the fastidious execution of the C.I.A. assassination plan fell to one particular individual. In Allen Dulles did his masters find a highly disgruntled ex- C.I.A. director who had a huge axe to grind with President Kennedy. Not only did Kennedy fire him, he also rid the agency of his loyal lieutenants after the Bay of Pigs fiasco. His masters also found a CIA alumnus who still exercised great power within the agency, as well as tremendous influence throughout the U.S. Intelligence Community. When Allen Dulles spoke, the D.C. power-players listened…very carefully. Having been the longest serving CIA Director in agency history, Dulles also had the whole place wired. Hence, even after he and his direct reports were relieved of their duties, they still had access to CIA resources; on the Q.T., of course. That’s how he was able to use The Farm as his command post on the day of JFK’s assassination. It ought to be self-evident why President Lyndon Johnson appointed Allen Dulles to the Warren Commission. He knew that he would do a superlative job at covering up the assassination that he himself oversaw. Of course, Johnson was also directly involved having called on his many Texas connections to make the conspiracy work like a charm in Dallas. He also used the office of the president as a means to quickly shut down any resistance to the obvious cover-up. There was much intrigue associated with the furtive workings of the Warren Commission that was never reported on to any significant degree. For example, the senator from Georgia tried to resign his position because of the shenanigans that he saw going on. Clearly, it was Allen Dulles who was forever shaping the final commission report so that the truth would never come out. The most radioactive truth, of course, was that Lee Harvey Oswald was actually working directly for the Kennedy brothers conducting a counter-espionage operation in New Orleans, and then in Dallas. See the following exposé for further details. The following archival video of Warren Commission member Allen Dulles giving an interview in Dallas while appearing to investigate the JFK crime scene speaks volumes. His cavalier attitude and control of the message clearly indicates that he is the primary fixer. There’s a very good reason why JFK was made into a womanizer. That’s because Allen Dulles was a well-known womanizer. According to his sister, Eleanor, Dulles had “at least a hundred” extramarital affairs, including some during his tenure with the CIA. It’s called projection, for one. Secondly, Dulles knew that there was no better way to ruin a good man’s reputation than to tar and feather him with sexual misconduct. Especially in puritan America as it was back then in the early 1960s And so he did. And so do his C.I.A. heirs with a vengeance that continues to this very day. Truly, there is no other nakedly criminal black operation like the JFK assassination scheme that exposes the true mission of the C.I.A. (except the 9/11 false flag terror attacks). The entire organization was set up by criminals, staffed by criminals, and run by hardened white-collar criminals such Allen Welsh Dulles. Because the C.I.A. was ponerized from its very inception, the agency ensured that very few insiders would ever blow the whistle. Everyone knows that once you join The Company (as the C.I.A. is known in intelligence circles) “you can never leave”. This quite purposeful “company policy” was put into place early on so that the CIA’s patently illicit activities would only be exposed on pain of death. Even Allen Dulles was, in reality, only a high-level spook who was used by the power elite to implement the JFK assassination. That’s because he showed himself to be a quite willing functionary capable of carrying out the CIA’s first “color revolutions” and high-profile assassinations that were necessary to advance the New World Order agenda. That’s all the C.I.A. really is: the covert military, enforcement and intelligence arm of the World Shadow Government. The Company does after all bear the direct responsibility of seeing to it that all Anglo-American Axis international agreements are strictly adhered to. In reality, contract enforcement of this nature has always been the CIA’s primary duty. The real irony of this ongoing American saga is that it was former general President Dwight Eisenhower who warned the world about the dire threats associated with the emerging Military-Industrial Complex (MIC). And, yet, it was his C.I.A. Director — Allen Dulles — who dutifully served his MIC masters with extraordinary dedication, unparalleled intensity and ruthless efficiency. His oversight of the JFK assassination proved that he would do A N Y T H I N G to promote Pax Americana and American exceptionalism the world over. And so he did! Who really killed JFK? And why did they do it? Then there is the matter of who really killed President John F. Kennedy. What follows is a comprehensive and definitive treatment of the actual on-the-ground CIA-directed plot that murdered JFK. This video offers the most authoritative account of the assassination plan ever presented, and contains highly classified information that was disseminated by CIA insiders. Some of the info is so secret that it was most likely provided by an active member(s) of the assassination squad. 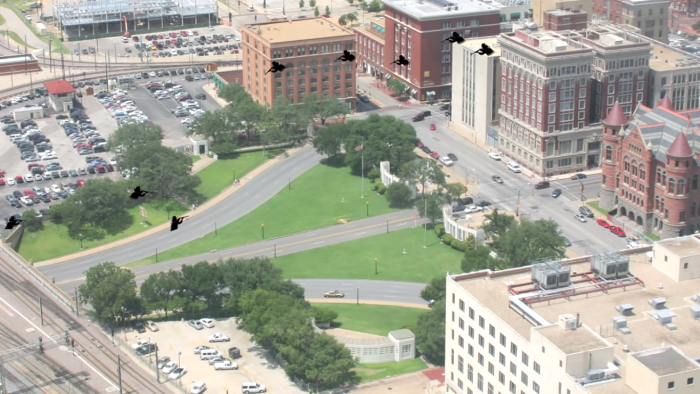 The identities, and their location in Dealey Plaza, of each assassin is revealed in the video below. 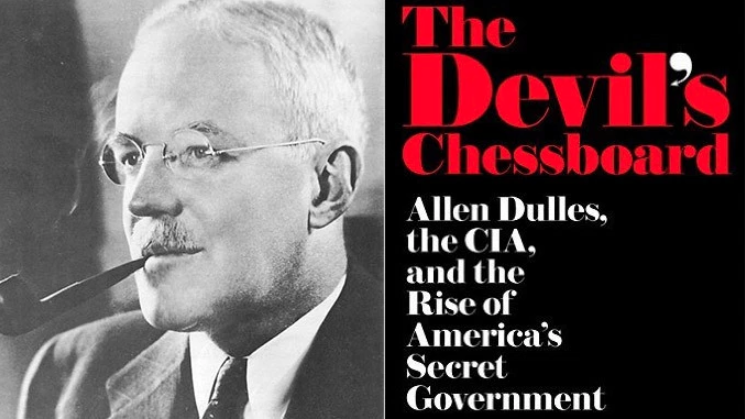 Given the massive body of evidence now available in the public domain, it’s quite clear that Allen Dulles was merely a strategically placed henchman for the ruling elites. Because of his deep and broad experience within the Anglo-American intelligence community, he was the perfect coordinator of the far-reaching conspiracy. That’s why the C.I.A. is called The Company; they effectively control all other companies within Corporate America–many directly, most indirectly. And it was the numerous MIC corporations and Oil & Gas companies who wanted Kennedy removed. Of course, there were many others who wanted Kennedy dead. The Chicago mob, New Orleans mafia, and New York City organized crime all wanted him gone—yesterday! So did the many power-players and predatory capitalists who wanted to take Cuba back from Fidel Castro. Most importantly, there was the Modern State of Israel that was extremely unhappy with President Kennedy’s international policies, especially where it concerned Israel. It has been asserted by several high-integrity conspiracy researchers that Kennedy’s lack of support for the Israeli nuclear development program was the thing that really got him killed. Part II of this 2017 JFK series will delve exclusively into this area of investigation as the hard evidence is now conclusive. Unfortunately for Kennedy, a quite natural and extremely powerful alliance formed against him which represented the nexus of the political, military, intelligence and underworld forces which were simply overwhelming. And, in his capacity as an extremely well-connected C.I.A. Director, Dulles could be counted on to manufacture the necessary institutional necessary to pull off the exceedingly bold hit. The following analysis presents a concise breakdown of all the major players and decision-makers involved in this highly organized conspiracy to assassinate the POTUS. Who killed JFK? And why did they do it? The massive and pervasive cover-up of the JFK assassination could only be successfully undertaken by the C.I.A. This is where Dulles really excelled. He knew full well that a conspiracy of silence could be effectively enforced through fear. His long experience at The Company sufficiently proved to him that no one ever leaves the reservation unless they are willing to either die or become a lifelong pariah. That’s how Dulles did it from November 22, 1963 until his death on January 29, 1969. After that, it was totally self-protective for the Central Intelligence Agency to maintain the cover-up — AT ALL COSTS — since it was intentionally involved in the assassination at every level. Hence, the American people still see great determination by the C.I.A. to continue to the utterly ridiculous cover-up to this very day. As is always the case, whoever is tagged with the JFK assassination is really far from those shadow government decision-makers who really ordered the hit. After all, the 1963 version of Deep State was formed as a buffer to protect JFK’s true assassins. Yes, Allen Dulles was a contemptible traitor to the American Republic, but so were many other despicable co-conspirators at the highest echelons of the U.S. Federal Government. There were also those foreign agents (e.g. Israeli secret service) who were equally culpable in that heinous crime against America. However, there were also those brave souls who tried to alert the Kennedy Administration of the assassination plot. More significantly, there are countless patriots who have been murdered over the intervening decades for what they disclosed about the criminal conspiracy. There are also numerous whistleblowers and truth tellers who, in their own courageous ways, have revealed the dangerous facts which have served to make their lives miserable. Lastly, there are those many deep researchers and armchair investigators who have accumulated an extensive digital repository of hard and circumstantial evidence that has essentially solved this “crime of century”. This exposé is dedicated to all such truth seekers. For it is they who know that, where it concerns the future (and continuity) of the United States of America, it is truths like these that shall set US free.